How to Find a Good Broker for Cryptocurrency Trading? Financial trading has been in practice for a long time however digital currency trading is a fairly recent development and the cryptocurrency has really taken the financial corridors by the storm. The volume of trading in cryptocurrency is astonishingly high with trades of multi billion dollars and markets caps hitting the billion mark thus it is no surprise that cryptocurrency is the gold rush of modern generation. In the era of digital currency there have been so many different forms of digital currencies that have come in existence over the past decade or so and there are still newer forms of cryptocurrency getting introduced in the market. If you are looking to buy cryptocurrency with PayPal or looking to invest in the digital currency trading then there are a few important things that you need to consider before taking the plunge. Cryptocurrency is essentially nothing but virtual money that is available in the form of coins or tokens. Much of the cryptocurrency remains de-centralized and unregulated. There are some forms of cryptocurrency that have ventured into physical identity such as credit cards however the majority of the cryptocurrency is still intangible. The term crypto in cryptocurrency refers to a complex cryptography that enables for the creation of a digital token as well as storage and transaction in a secure and anonymous environment. Cryptocurrencies are designed in such a way they are decentralized from the government and are free from their regulation as well as manipulation. However with cryptocurrency becoming such a monstrous trading phenomenon there has been increasing pressure from the various governments and organizations to bring cryptocurrency under some form of regulation and centralization. There are various different forms of cryptocurrency in circulation in the digital market right now. 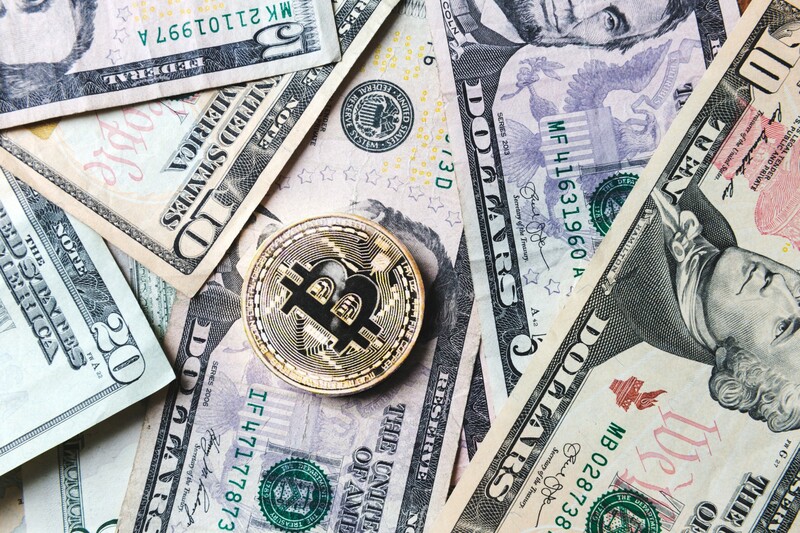 The bitcoin is the most popular form of cryptocurrency however there are various other versions that are modeled or based on bitcoin and known as altcoins. The manufacturers of these altcoins have tried to improve on the deficiencies of bitcoin however there are still issues such as bigger risk due to lesser liquidity, value retention and acceptance. Approximately there are in excess of 1600 crypto currencies in existence right now and there seems to be no definite regulation as to how this is monitored. Some of the popular forms of cryptocurrencies include Bitcoin, Litecoin, Ethereum, Ripple, Dash, Bitcoin cash amongst a host of others. Let us have a brief look at each of these crypto currencies. Bitcoin: The bitcoin is one of the most popular assets of digital currency. This cryptocurrency provides the trader an option to diversify their trading through self-governed supply as well as demand. Achieving a market cap in excess of 100 billion, bitcoin is one of the fastest growing digital instrument and remains a key component of cryptocurrency market. Litecoin: The litecoin was launched in 2011 as a form of alternative to the bitcoin. The litecoin has many similarities to the bitcoin however there a few distinct differences. The litecoin claims to use an algorithm that is far simpler for block generation in order to speed up the transactions. Bitcoin cash: The bitcoin cash came into existence as recently as 2017. Due to the scaling issues affecting the bitcoin cryptocurrency, it led to the creation of new blockchain in the form of bitcoin cash cryptocurrency. The bitcoin cash differs to bitcoin in the way it scales the protocols. The bitcoin cash might also serve as a step forward in digital currency as an example of solving technical difficulties in cryptocurrencies. Dash: The dash cryptocurrency is a short form of digital cash. This form of cryptocurrency was introduced to speed up the digital transactions and improve the security by keeping the anonymous status of the transactions safe and secure. Ethereum: Ethereum is considered as 2nd most valuable or significant cryptocurrency in terms of market capitalization. Instead of just focusing on transactions such as bitcoin, Ethereum is used in wide range of industry purposes that provides it the competitive edge over other forms of cryptocurrency. Some of the extended uses of this cryptocurrency includes application platforms for blockchain and smart contracts. However it is important to note that there has been massive price changes and movement for Ethereum in the recent past and thus it is a volatile instrument and market component for the digital traders. The bitcoin is still considered as the pioneer of the digital cryptocurrency as it was one of the first form of cryptocurrency and it still remains relevant as well as popular amongst the digital traders. However there are multiple different forms of digital currency that are vying for the top spot such as ripple and ethereum by promising advanced features and better security. Before you go looking for the cryptocurrency broker or agency it is important you should have a brief understanding of how cryptocurrency exactly functions. It is not necessary for you to have an in-depth knowledge or understanding of the digital trading and crypto currencies including their functioning and execution. However if you are going to be trading bitcoins then it would be helpful for you have to have a basic idea of how the whole thing works. The cryptocurrency trading is similar to the forex trading where you are able to trade currency pairs such as USD/GBP. The digital trading of cryptocurrency involves trading currency pairs where either one or both might be digital cash. If you are wondering whether cryptocurrency is real money then the answer is yes, it is real money. The only difference is that it has no physical form and is just registered in the database as a form of digital currency. There are multiple uses of cryptocurrency in the modern digital trading platform. Today cryptocurrency is used for a variety of purposes by traders across the globe. The cryptocurrency is essentially and dominantly used for remittances, trading, investment, payment for services and goods, private financial transactions, gambling and as form of hedge against the national currencies which are undergoing rapid devaluation. As the cryptocurrency continues to grow and expand exponentially it is possible that the uses of the digital currency will grow as well and we will see an increasing number of platforms as well as applications utilize the benefits of digital currency. There are some recently launched services such as Steemit and Musicoin that are looking at newer ways of payments other than the conventional ones and are likely to allow digital transactions in the form of bitcoins and other cryptocurrency. The different forms of digital currencies are known as the world financial transactions. There are some specific niches in the cryptocurrency market such as private financial transactions, application platforms and specialty currencies. If the trading of currency market is not what you are interested in then you can opt for “Contract for difference”. This form of trading spans across and is relevant to other markets such as shares, stocks and commodities. There are two different ways of investing in the cryptocurrency. First and foremost the cryptocurrency can be purchased and sold at the cryptocurrency exchange and eventually stored in the digital wallet. The second way of investing is to invest in the crypto as CFD, also known as contract for difference, with the regulated brokers of cryptocurrency. With the CFD trading the digital currency is perceived as speculative investment and then traded as CFD through brokers. Platforms that allow the traders to purchase and sell cryptocurrencies are known as cryptocurrency exchanges. Many of the platforms that offer cryptocurrency trading are relatively new since the digital currency is a fairly recent phenomenon. Thus as a trader you might ask whether a specific platform is safe for trading or not. For that you need to do a bit of research and find out whether the platform provides you with transparent data of coins that are available in the cold storage. This essentially means that whether that specific platform has got the reserves it would need for providing liquidity to its services and activities. Trading online for cryptocurrency with CFD services is one of the best ways of trading in cryptocurrency. The cryptocurrency contracts for difference allows the trader to trade the digital coins even if you don’t actually own any coin. The CFD for cryptocurrency were generated in order to provide the traders exposure to cryptocurrency market without requiring the need for ownership. The contracts for differences represents the contract between the trader and the exchange. The CFD’s essentially declare that difference between price on entry and exit will be eventually the trader’s profit or loss depending on the positive or negative figures. Essentially the CFD is an agreement between parties that allows the simulation of an asset. So if you are planning to buy bitcoin with PayPal then the first thing you need to do is find a competent and a reliable broker or an agency that will help you conduct digital trading in an effective and safe environment. You need someone who has got bundles of experience and will be transparent with you regarding each and every aspect of cryptocurrency trading. The cryptocurrency trading is a complex world and it is very important for you to understand each and every aspect as well as acknowledge the risks that might be involved before deciding to invest in the digital market. Once you’ve read, researched and understood all the aspects about cryptocurrency as well as bitcoins now you would need a good, reliable broker for your trading activities and investment in the cryptocurrency. There are number of factors that you must consider before choosing a broker for digital and cryptocurrency trading. Market diversity: The number of indices, commodities, stocks and pairs offered by Forex are in thousands thus offering the traders a wide range of options to invest in. The broker that provide a wide range of trading options thus opening up newer possibilities should be preferred over a broker that doesn’t offer as many options. Mobile trading: Time is an extremely valuable commodity and thus it is important for you as a trader to conduct transactions on the go. These days most of the trading platforms and brokers offer a mobile app or mobile enhanced website for conducting transaction. You should always opt for a broker that has a mobile offering for transactions as it makes your job easier. Regulation and licensing: One of the biggest concerns of a trader is the safety and security of their assets and investment. In order to ensure that you must check whether that specific broker is registered with necessary licensing and regulated by the respective regulatory bodies or not. If it is registered, licensed and regulated then you can invest safely without worrying about the safety of your investment. Customer service: The customer service provided by the broker is one of the most important aspect that needs to be evaluated before deciding to hire their services. A good and prompt customer support that is available 24*7 is essential. You must give a trial call to customer support for information about their services and then analyze the swiftness of their response, waiting time, clarity, helpfulness, transparency and the ability to answer your questions regarding trade volume, leverage and spreads as well as the company details. If you are satisfied with customer support then that is a plus. Type of platform: You must also take a look at the type of platform offered by a broker for their services and trading. The platform must be user friendly, intuitive and must offer technical as well as analytical tools. Also the broker must offer PayPal payment options among other modes. 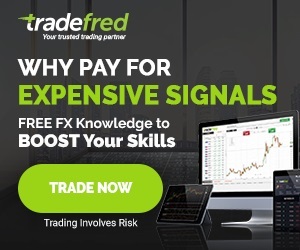 Based on the above factors some of the most renowned brokers in the market are Pepperstone, 4XFX, Swissquote, UFX, Avatrade, Plus 500 and OlympTrade among a host of other options. You must, however, do proper research on each of these broker options as well as read about risk factors involved before deciding to hire the services of a broker for cryptocurrency trading. 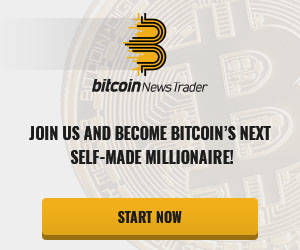 ← BitBroker.co.uk – How To Buy and Invest In Bitcoin Online In UK?